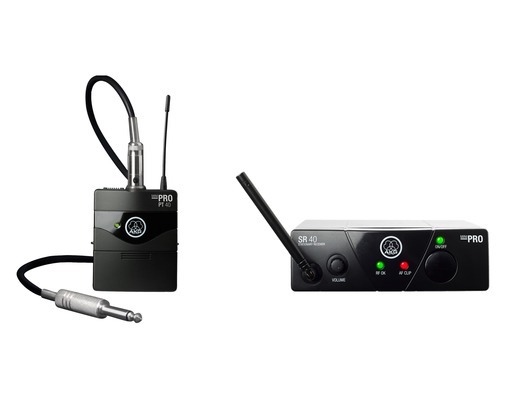 The AKG WMS40 Mini Single Instrumental Set is a wireless system that comprises a body-pack transmitter, SR40 receiver and instrument cable. This system is ideal for musicians who want to use their instrument on-stage, such as a guitar, without the restriction of cables. The WMS40 Mini Single Instrumental Set is a true plug 'n' play wireless solution providing crystal clear audio sound. 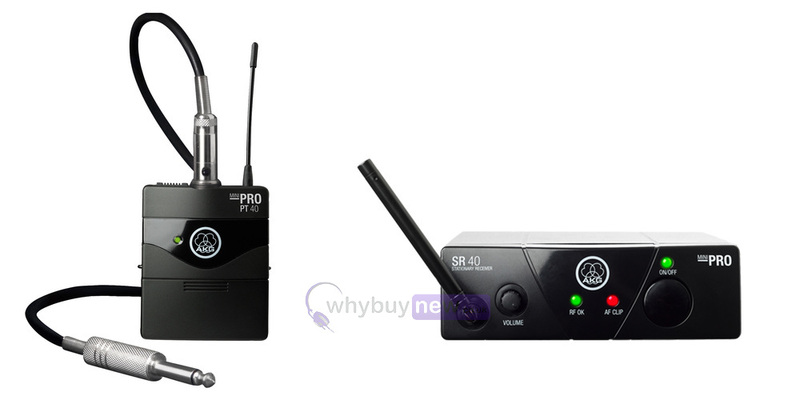 The included PT40 Mini body-pack transmitter provides a professional 3 pin mini XLR connector, compatible with guitar and bass levels, headsets and instrumental mics. Its extremely long battery life of 30 hours off a single AA battery saves money in day-to-day use. The receiver comes in an ultra compact housing and offers a 1/4" jack output.